In the recent times, stem cell biology has garnered the attention of the scientific fraternity and the general public alike due to the immense therapeutic potential that it holds in the field of regenerative medicine. A breakthrough in this direction came with the isolation of stem cells from human embryo and their differentiation into cell types of all three germ layers. However, the isolation of mesenchymal stem cells from adult tissues proved to be advantageous over embryonic stem cells due to the ethical and immunological naivety. Mesenchymal Stem Cells (MSCs) isolated from the bone marrow were found to differentiate into multiple cell lineages with the help of appropriate differentiation factors. Furthermore, other sources of stem cells including adipose tissue, dental pulp, and breast milk have been identified. Newer sources of stem cells have been emerging recently and their clinical applications are also being studied. In this review, we examine the eminent sources of Mesenchymal Stem Cells (MSCs), their immunophenotypes, and therapeutic imminence. Dannie Macrin, Joel P. Joseph and Aruthra Arumugam Pillai contributed equally to this work. The authors acknowledge the assistance of Jismi Elsa Abraham in drawing the figure that depicts the eminent sources of stem cells and their differentiation potential. Yen, B. L., Chien, C.-C., Chen, Y.-C., et al. (2008). Placenta-derived multipotent cells differentiate into neuronal and glial cells in vitro. doi: 10.1089/ten.a20060352. Schurgers, E., Kelchtermans, H., Mitera, T., Geboes, L., & Matthys, P. (2010). Discrepancy between the in vitro and in vivo effects of murine mesenchymal stem cells on T-cell proliferation and collagen-induced arthritis. Arthritis Research and Therapy, 12, R31. Available from: http://www.pubmedcentral.nih.gov/articlerender.fcgi?artid=2875665&tool=pmcentrez&rendertype=abstract. Chen, L., He, D. M., & Zhang, Y. (2009). The differentiation of human placenta-derived mesenchymal stem cells into dopaminergic cells in vitro. Cellular and Molecular Biology Letters, 14(August 2008):528–36. Available from: http://www.ncbi.nlm.nih.gov/pubmed/19412574. Liang, J., Zhang, H., Hua, B., et al. (2010). 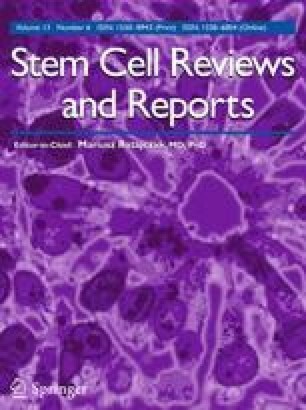 Allogenic mesenchymal stem cells transplantation in refractory systemic lupus erythematosus: a pilot clinical study. Annals of the Rheumatic Diseases, 69, 1423–1429. Available from: http://0-ard.bmj.com.wam.leeds.ac.uk/content/69/8/1423.full.